Whole grass-fed yearling topside. 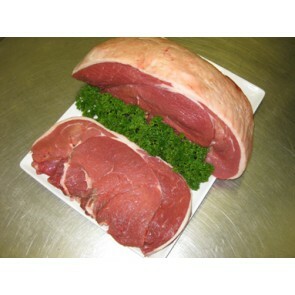 Average whole topside weight is 6 - 8 kg, please keep this in mind when entering your order weight. 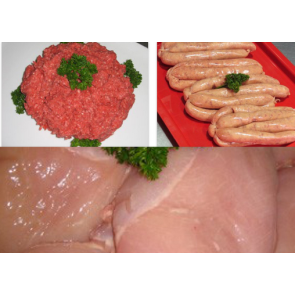 Topsides are great for schnitzel, minute steak, stir-fry, stroganoff, lean mince, roasts and more. Please note: Cryovac (vaccum sealed) topsides are a lower grade (supermarket grade) to our usual dry-aged grass-fed fresh body topsides. 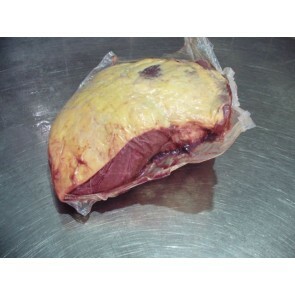 For the highest quality please see: Dry-Aged Grass Fed Beef Topside. Whole scotch fillet. Average whole scotch weight is 2.2 - 3.1kg. Please keep this in mind when entering your order weight. Please note: Cryovac (vaccum sealed) grain-fed Scotch is a lower grade (supermarket grade) to our usual dry-aged grass-fed fresh body scotch fillet. For the highest quality please see: Dry-Aged Grass-Fed Beef Scotch Fillet. 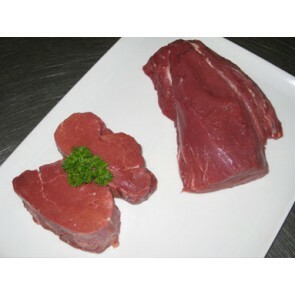 We can cut the fillet up for you for no extra charge, please see cutting options below. Whole yearling rumps. 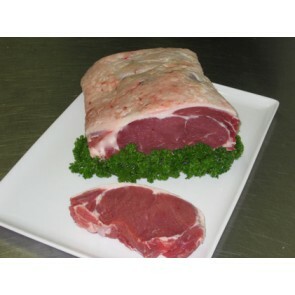 Average whole rump weight is 4 - 6kg, please keep this in mind when entering your order weight. 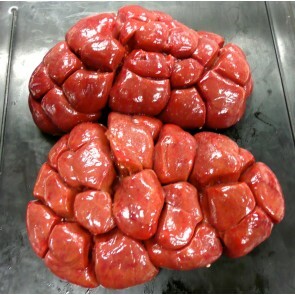 Rump's quality is similar to the top-of-the-range beef steaks, better priced and can also be used for a deluxe roast. 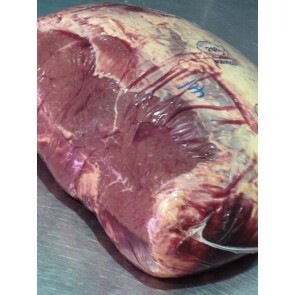 Please note: Cryovac (vaccum sealed) rumps are a slightly grade than our usual dry-aged fresh off the body grass-fed rumps, for the highest quality please see: Dry-Aged Grass Fed Beef Rump. Swaps are OK! : We're happy to for you to swap two items for two different items of your choice, we will automatically swap it to equal value of the swapped item. Please leave your swapped item and packing preference notes in the provided space below. 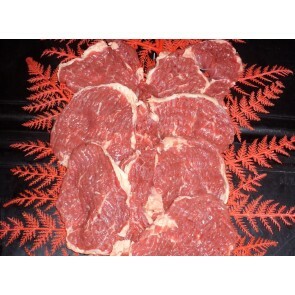 Bergalia Farm or Breakout River Cowra dry-aged fresh body grass-fed beef. Average 30mm steak size is 250-300gm. 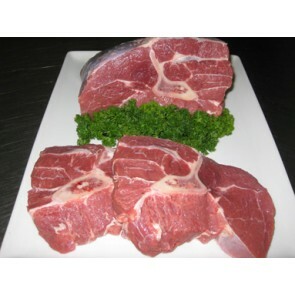 Porterhouse / sirloin is around the top-of-the-range for beef steaks and and can also be used for a premium roast. Jordo's choice - Extra thick steaks with all of the fat left on and garlic salt on both sides cooked fast on an utra hot BBQ grill. When you leave the fat on and cook hot and fast the fat becomes rich in taste and forms a kind of beef crackling. 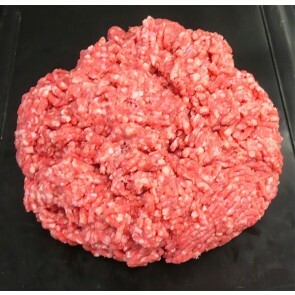 This effect can only be created by using fresh body beef that is dry aged (not cryovaced). Bergalia Farm / Breakout River Cowra dry-aged fresh body beef. Average piece weight is 200g. 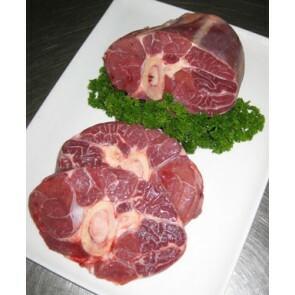 Perfect for making hearty beef stews/soups/slow-cookers/casseroles. The marrow in the bone's centre really adds to the flavour. Jordo's recommendation - Throw them in the pot with any spare ingredients and winter veggies you might have in the fridge along with any fresh herbs and spices you like and wait a few hours for the magic to happen. 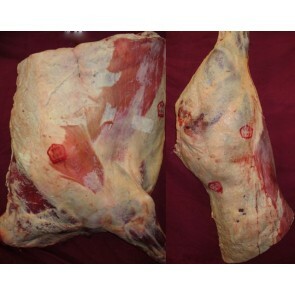 Swan Hill or Breakout River dry-aged fresh body beef. Average steak size is 250-350g. 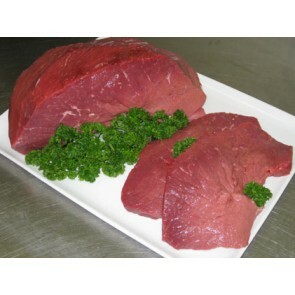 Topside is generally used for roasting, stir-fry, minute steak and mince. It is very low in fat and is also very versatile. We don't usually recommend this as a BBQ/grilling steak. Bergallia Farm Moruya / Breakout River Meats Cowra dry-aged fresh body beef. Average 30mm steak size is 400-600gm. SAVE - BULK BUY! 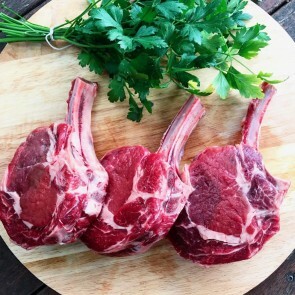 About: T-Bone is around the top-of-the-range for beef steaks and and incorporates the porterhouse and eye fillet Steaks all on the one steak, how good is that! T-Bone can also be used for a premium roast for very special occasions. Jordo's choice: Extra thick steaks with all of the fat left on and garlic salt on both sides cooked fast on an utra hot BBQ grill. When you leave the fat on and cook hot and fast the fat becomes rich in taste and forms a kind of beef crackling. 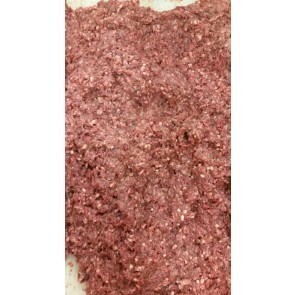 This effect can only be created by using fresh body beef that is dry aged (not cryovaced). 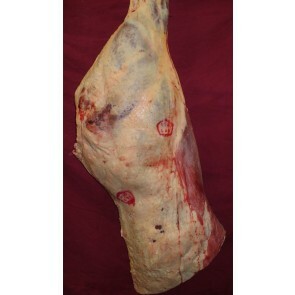 Swan Hill dry-aged fresh body beef. Average steak size is 250g. SAVE - BULK BUY! 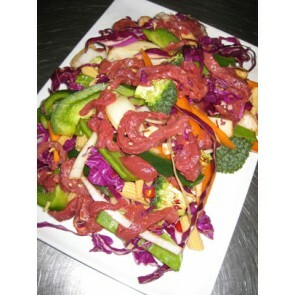 Uses - Stir-frys, American BBQ, salads and more. Note, do some reaserch before attempting to cook this as it can be tricky. 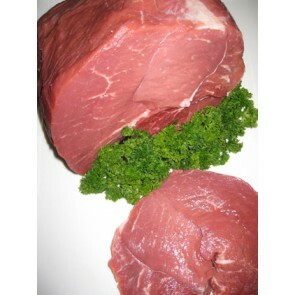 Breakout River Cowra / Bregala Farm Moruya dry-aged (minimum 3 weeks) fresh body beef. Average 20mm steak size is 250g. SAVE - BULK BUY! 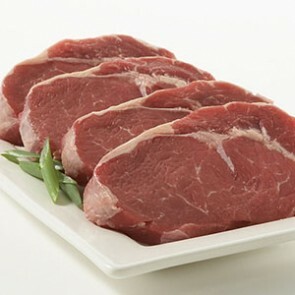 Scotch fillet is around the top-of-the-range for beef steaks and and can also be used for a super premium roast. Our grass-fed scotch fillet we believe is the best scotch in the shop (yes better than the black angus - and better priced). Bergalia Farm / Breakout River (Cowra) dry-aged fresh body beef. Average 20mm steak size is 600 - 750gm. SAVE - BULK BUY! 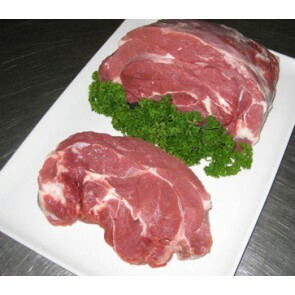 Rumps quality is similar to the top-of-the-range beef steaks, better priced and can also be used for a super premium roast. Jordo's choice - Extra thick steaks with all of the fat left on and garlic salt on both sides cooked fast on an utra hot BBQ grill. When you leave the fat on and cook hot and fast the fat becomes rich in taste and forms a kind of beef crackling. Whilst cooking BBQ some king prawns then serve on top of the rump with a rich garlic sauce. 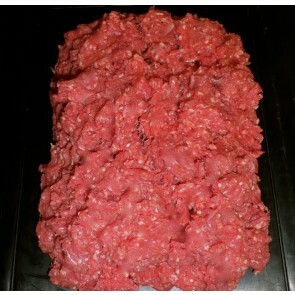 Begalia Farm Moruya / Breakout River Cowra dry-aged fresh body grass-fed beef. Average steak size is 300-400g. SAVE - BULK BUY! 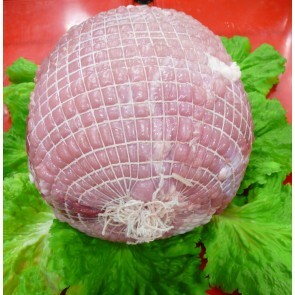 Round is generally used for roasting, stir-fry, minute steak, tenderised BBQ steaks and mince. It is very low in fat and is also very versatile. 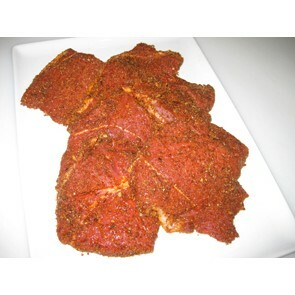 Tender grass-fed beef steak marinated in salsa and coated in our own hand-mixed medium heat Tex-Mex style dry-rub. 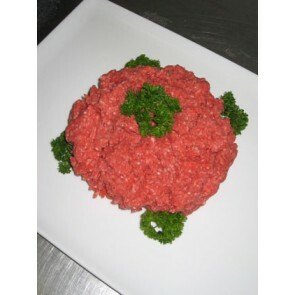 Here at Jordo's Chop Shop we love a barbie and nothing says barbie like a good Aussie rissole! 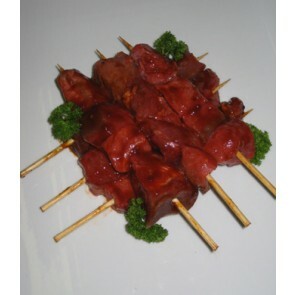 Smokey BBQ Beef - Features our traditional beef centre with thyme, pepper and parsley as the main flavours. The outer coating features our rich American smokers rub coating (rub ingredients are a shop secret). Chicken & Herbs - Features our traditional hand mixed bhicken burger centre. 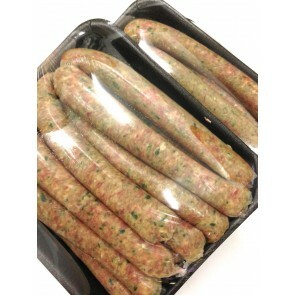 The outer coating features a special blend of herbs that compliment the natural taste of the chicken used to make the Rissoles. 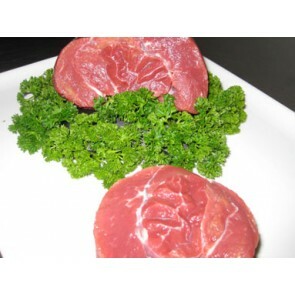 Peppered Beef - Features our traditional beef centre with thyme, pepper and parsley as the main flavours. 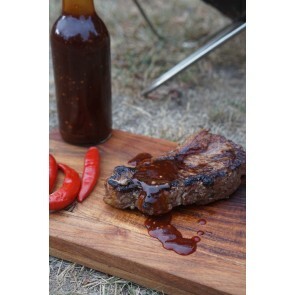 The outer coating features a mixture of cracked peppers, mild chilli and American style dry-rub. 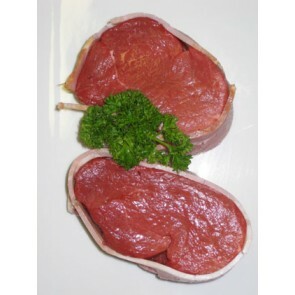 Garlic Beef - Features our traditional beef centre with thyme, pepper and parsley as the main flavours. 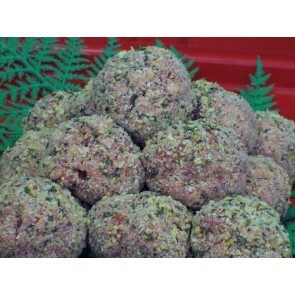 The outer coating features coarse ground garlic chunks. Note: these flavours are grouped together here on this listing to enable you to select a mixture of flavours and recieve them all under the same bulk discount. If choosing a combination of flavours, you will automatically receive an equal amount of each unless you specify your amounts below. Our most popular marinated steak! 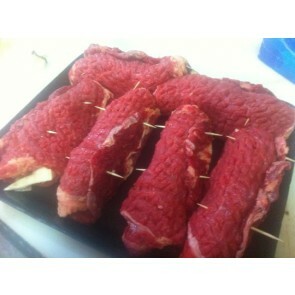 Tender grass-fed scotch in our special sweet Italian marinade. Tip: Cook on a smoking hot grill for 8 minutes each side. Size: Average steak is 250-325gm. Jordo's special recipe. Meatloaf the way it should be. Buy 2 or more and pay $15.00 ea. Bergalia Farm / Breakout River Meats Cowra dry-aged fresh body grass-fed beef. 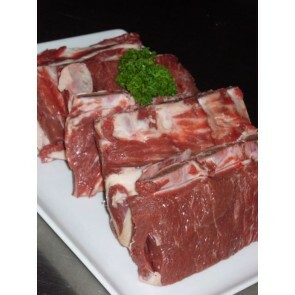 Our premium beef ribs have lots of meat on them and are prepared the American way. 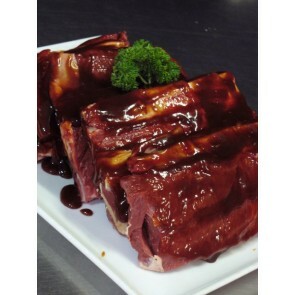 Cooking tip - Beef ribs are supposed to be slow BBQ'd, slow roasted or slow cooked and smoked. When you give them enough time(2+ hours) the meat becomes tasty, juicy and tender. 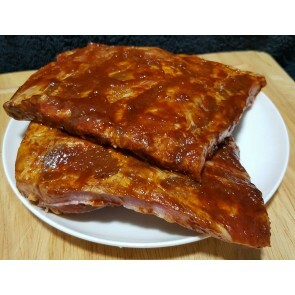 Jordo's tip - During cooking, spoon / baste the run-off marinade back onto the ribs and you will end up with a toffee like marinade glaze when done, for extra glaze, pick up a tub of Jordo's home-made BBQ sauce. 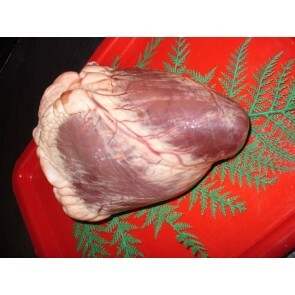 Bergalia Farm or Breakout Rive Meats Corwa, quality dry-aged fresh body grass-fed beef. 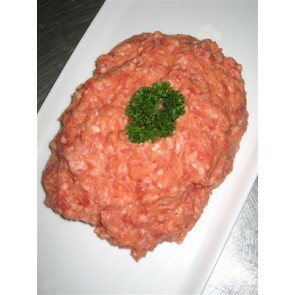 Minced fresh twice daily, preservative free. BUY BULK AND SAVE! Great For: Pasta dishes, burgers & rissoles, tacos & mexican, pies and much more. 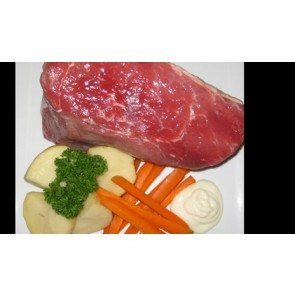 Swan Hill / Breakout River Meats Cowra grass-fed and dry-aged fresh body beef. Buy bulk and SAVE! 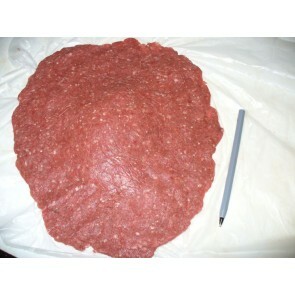 Lean beef topside, minced fresh twice daily and preservative free. 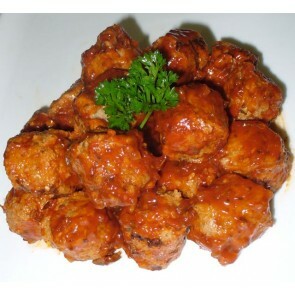 Grass-fed beef meatballs in tasty sweet Italian marinade. Heat and serve! 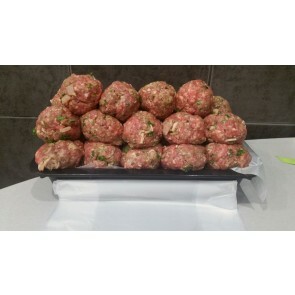 (we pre-cook the meatballs in our smokehouse for extra flavour). Tip: They are a great snack or a good addition to spaghetti. 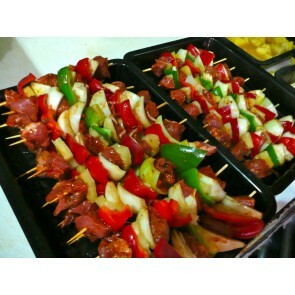 Traditional Aussie shish kebabs with premium rump steak, capsicum, pineapple, onion and home made marinade. SAVE - BULK BUY! Cooking Tip - Cook hot and fast like you would a steak and try not to over cook them. 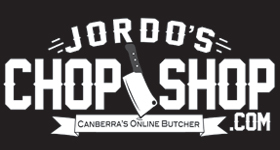 Remember Jordo's shish kebabs use premium steak so you can have them rare/medium-rare/medium/medium-well etc, just like you would a steak and they will stay tender and juicy. Berglia Farm dry-aged fresh body beef. Great for stir-frys and stroganoff. BULK BUY AND SAVE! 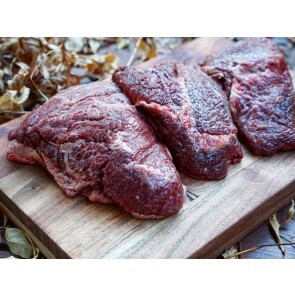 Swan Hill / Breakout River Meats Cowra dry-aged fresh body grass-fed beef. SAVE - BULK BUY! Please note - for casseroles, curries, stews etc, we usually recommend cheaper cuts like Diced Casserole Beef, Chuck Steak, Gravy Beef or Osso-Bucco. Swan Hill dry-aged fresh body grass-fed beef. 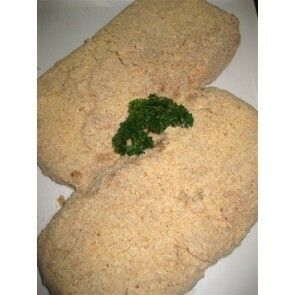 Average schnitzel weight is 80-120g (un-crumbed). Thinly cut beef schnitzels, tasty and hand hammered to perfection. Bergalia Farm dry-aged fresh body grass-fed beef. Average 40mm steak weight is 150-200gm and average whole fillet is 600-1100gm. 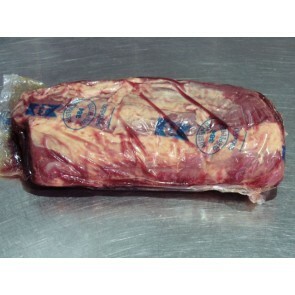 Eye fillet / beef tenderloin is the top-of-the-range beef steak and and can also be used for a premium roast. Cut a keyhole pocket in a whole fillet, stuff with garlic butter mushrooms & shallots. Then coat the fillet in raspberry jam, then seeded mustard over the jam and wrap the whole thing in bacon and roast. 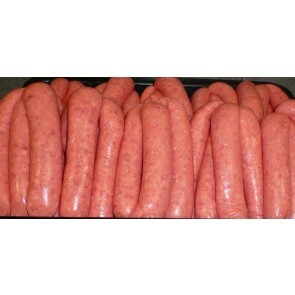 Email orders@jordoschopshop.com for more info or to have your recipes displayed here to share with the meat community. Berglia Farm Moruya / Breakout River Meats Cowra dry-aged fresh body beef. Average steak weight is 350-450g. See below for free dicing options. Cooking with chuck steak - Chuck is best slow cooked. 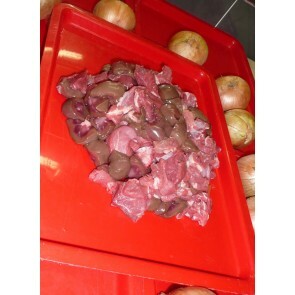 This breaks down the connective tissue which tenderises the meat and creates the gravy for your casserole. 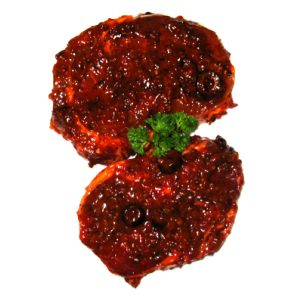 It has a great flavour that is unique from other similar cuts like Gravy Beef and Shin and when cooked right has a texture that feels more tender and juicy to chew than other braising steaks. Lightly coat 2kg of diced chuck with flour, salt and pepper then brown using tablespoons of olive oil (chilli infused if you have some) in a stock pot. 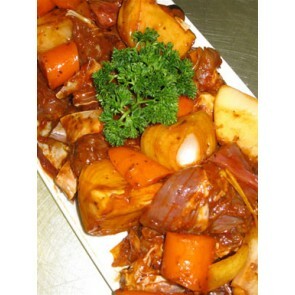 Add 2 diced onions, 3 chunky cut carrots, 1 small diced sweet potato, a handfull of chopped mushrooms, 2 handfulls of celery chunks, 7 tablespoons of tomato paste (or a small jar), around 1-1.5L Guinness, 3 beef stock cubes or equivalent real stock, 5 bay leaves, 1 cup chopped flat leaf parsley. Slow cook with lid on for 3-10 hours then remove lid and reduce sauce to thicken when you are ready to eat. If you are after beef and Guinness pies you can pour the stew into pie pots and cover with puff pastry or make a base and lid for a whole pie. Serve with mash. 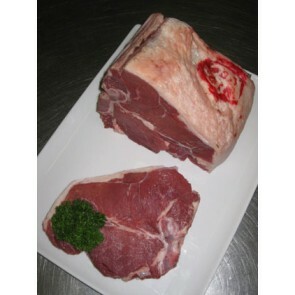 Bergaia Farm Moruya or Breakout River Meats Cowra dry-aged and grass-fed fresh body beef. Average 35-50mm steak weight is 250g. 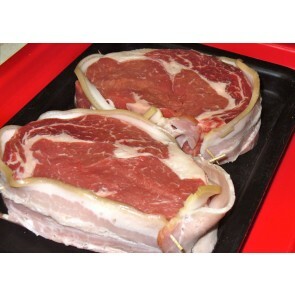 What happens when you combine top of the range beef steak with hand made smokehouse bacon? a match made in heaven! Entertaining? Discounts apply for bulk buys. 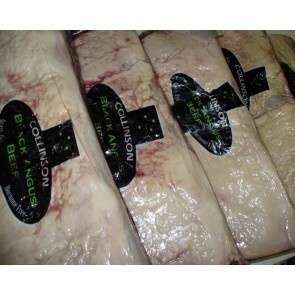 Bergalia Farm or Breakout River Meats Cowra, dry-aged fresh body grass-fed beef. These ribs have lots of meat on them and are prepared the American way. 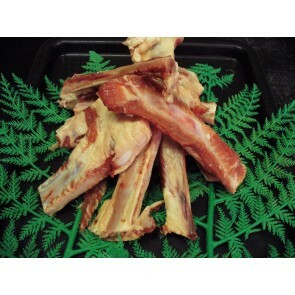 Cooking tip - Beef ribs are meant to be slow BBQ'd, slow roasted or slow cooked and smoked. When you give them enough time(2+ hours) the meat becomes tasty, juicy and tender. Jordo's tip - Marinade for a minimum of 24 hours before cooking. Whist cooking, spoon / baste the run-off marinade back onto the ribs and you will end up with a toffee like marinade glaze when done. 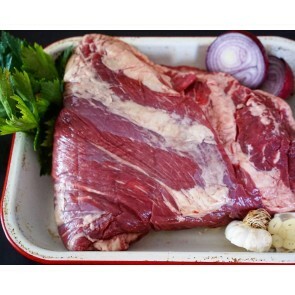 See also: Grass-fed Brisket Meat for another great recipe that can be adapted to ribs! Bergalia Farm/ Breakout River ( Cowra ) dry-aged fresh body grass-fed beef. Average steak size is 150-200g. SAVE - BULK BUY! Perfect for casseroles, curries, stews etc. 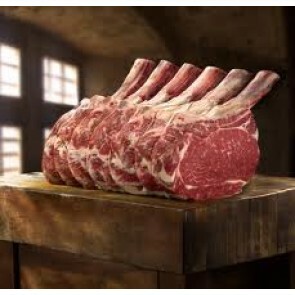 Bergalia Farm or Breakout River MeatsCowra dry-aged fresh body beef. SAVE - BULK BUY! 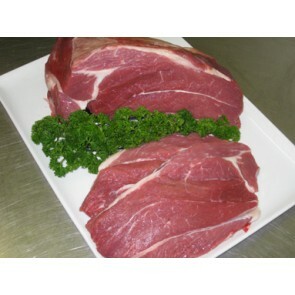 Our premium silverside in our own special corning pickle recipe. 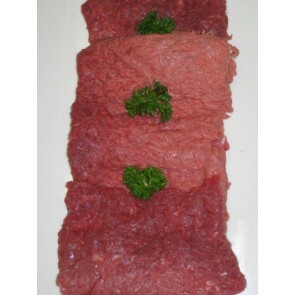 Swan Hill or Breakout River Meats Cowra, dry-aged fresh body grass-fed beef. Average 27-40mm steak weight is 300-350g. Much like the eye fillet mignon, only bigger. When you combine top of the range beef steak with hand made smokehouse bacon you end up with a match made in heaven. 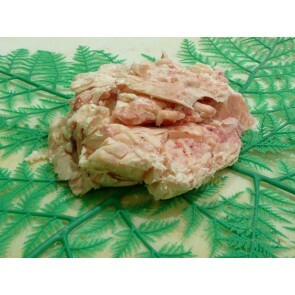 Fresh soup bones cut from our fresh body beef. Buy bulk and SAVE! 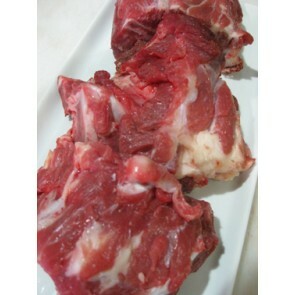 These meaty bones are perfect for making a hearty beef soup stock but have also been known to belong to some lucky pets. We cut the bones to approx 80mm pieces, if you have a preferred size please let us know in the requests box. Fresh bones cut from our fresh body carcasses. 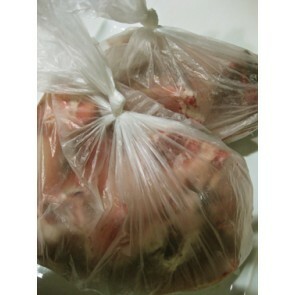 mixed beef and lamb bones in each bag. 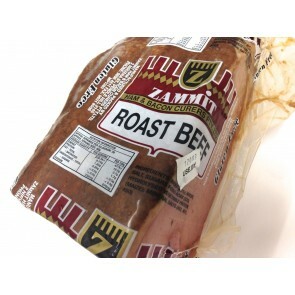 minimum 1kg ( more like 2 :)) Great for a bone broth or a fancy sauce djew . 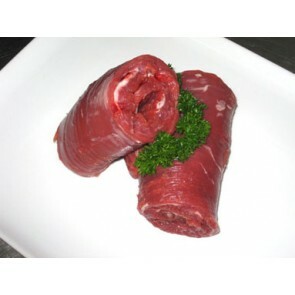 Premium grass-fed scotch fillet beef olives with traditional stuffing or your choice of fillings. 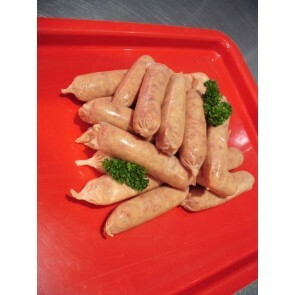 Examples include, but are not limited to, garlic mushrooms, bacon, walnuts, fruit, vegetables... use your imagination, we can get our hands on nearly anything (within reason) or ask for a mystery filling! Please Note: Minimum 6 per order. 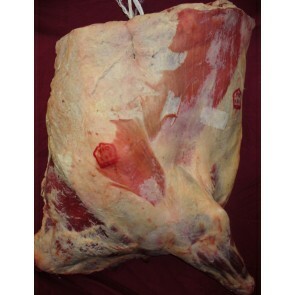 Bergalia Farmdry-aged fresh body yearling beef. 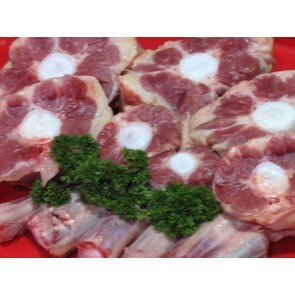 Buy a fresh whole body and you will get the best quality available and save heaps of money! 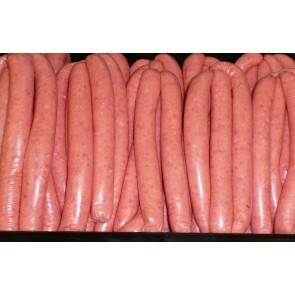 Size: whole bodies range from 160 - 250kg please consider this when entering your weight into the qty box.